Adaptor protein, phosphotyrosine interaction, pleckstrin homology domain and leucine zipper containing 1 (APPL1) is an adapter protein that positively mediates adiponectin signalling. Deficiency of APPL1 in the target tissues of insulin induces insulin resistance. We therefore aimed, in the present study, to determine its role in regulating pancreatic beta cell function. A hyperglycaemic clamp test was performed to determine insulin secretion in APPL1 knockout (KO) mice. Glucose- and adiponectin-induced insulin release was measured in islets from APPL1 KO mice or INS-1(832/13) cells with either APPL1 knockdown or overproduction. RT-PCR and western blotting were conducted to analyse gene expression and protein abundance. Oxygen consumption rate (OCR), ATP production and mitochondrial membrane potential were assayed to evaluate mitochondrial function. APPL1 is highly expressed in pancreatic islets, but its levels are decreased in mice fed a high-fat diet and db/db mice compared with controls. 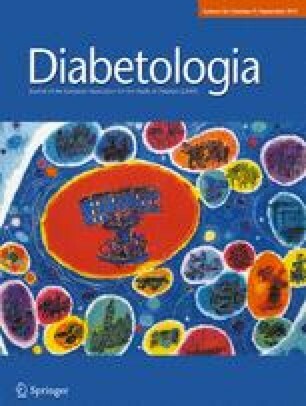 Deletion of the Appl1 gene leads to impairment of both the first and second phases of insulin secretion during hyperglycaemic clamp tests. In addition, glucose-stimulated insulin secretion (GSIS) is significantly decreased in islets from APPL1 KO mice. Conversely, overproduction of APPL1 leads to an increase in GSIS in beta cells. In addition, expression levels of several genes involved in insulin production, mitochondrial biogenesis and mitochondrial OCR, ATP production and mitochondrial membrane potential are reduced significantly in APPL1-knockdown beta cells. Moreover, suppression or overexproduction of APPL1 inhibits or stimulates adiponectin-potentiated GSIS in beta cells, respectively. Our study demonstrates the roles of APPL1 in regulating GSIS and mitochondrial function in pancreatic beta cells, which implicates APPL1 as a therapeutic target in the treatment of type 2 diabetes. The online version of this article (doi: 10.1007/s00125-013-2971-4) contains peer reviewed but unedited supplementary material, which is available to authorised users. We thank Pengying Li and Kelei Dong (Department of Biochemistry and Molecular Biology, Shanghai Medical College of Fudan University, China) for technical help. This work was supported by grants from the National Natural Science Foundation (30971121) (to CW), Shanghai Committee of Science and Technology (11140900900) (to CW), and National Institute of Health grant R01 DK080344 (to LQD). CW and LQD were responsible for designing the experiments. XL, KM, LL, SW, YZ, MZ, JR, ZX, DS, WJZ were responsible for acquisition of data, and analysis and interpretation of data. CW, LQD and WJ analysed and interpreted data. CW drafted the manuscript. All authors critically revised and approved the final version of the manuscript.